London, UK – Syd Barrett and Pink Floyd fans rejoice! 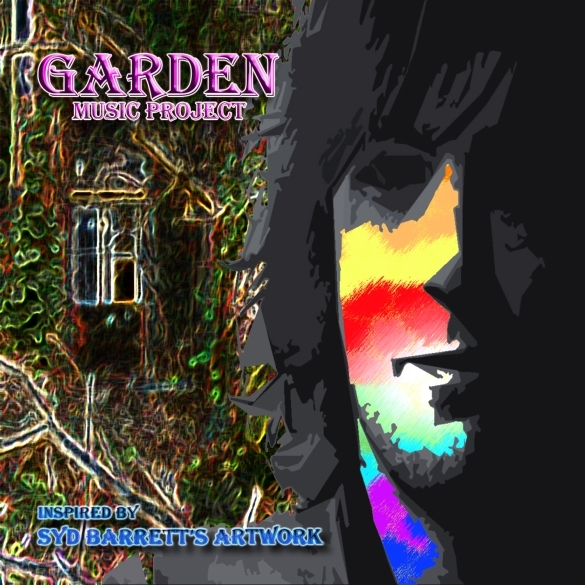 On July 7, 2014 AR Garden Records, via Cherry Red will release the debut album by the Garden Music Project, which features music inspired by the paintings by PINK FLOYD founder SYD BARRETT. ‘Inspired By Syd Barrett’s Artwork’ is a unique masterpiece of 12 tracks that truly reflect the early artistic concept of Pink Floyd founder Syd Barrett and his music legacy in modern times. The release will coincide with the eighth anniversary of Syd Barrett’s passing in 2006. Says Adriana, “I was born a Synesthete and for a long time I liked the idea of making a CD album using Synesthesia perceptions as a new way to compose music. Syd Barrett’s paintings are the key to this as he’s been the inspirational muse to make it happen. “Syd was very sensitive of Synesthesia color-sound shifts onstage and in studio sessions, and it is mainly linked to his passion for painting. For the most part he was a visual artist, and I dare to say that even though he was retired from the music scene, he continued making music through painting as he had the ability to ‘hear colors’ and ‘see music notes’ through painting. The full length album was recorded, mixed and mastered at Casa Frida Studios in March 2014 – a Tribute to Syd Barrett’s paintings and music legacy!